Published Aug. 12, 2018 at 10:01 a.m. It seems like yesterday that I saw a fresh new act hit the Riverside stage with a fury back in 2011. The Avett Brothers was one of the first shows I remember getting moved up from The Pabst to a sellout of the big room. That was high demand and buzz for the North Carolina band – who admitted tonight that its first Milwaukee show was to a crowd of four. According to my research, it was a 2004 show at The Mad Planet, although Scott Avett struggled to recall the name of the club while reminiscing and a handful of fans were yelling "Cactus Club" from the back of the room. The boys also sold out two more Riverside shows in 2012 on a long sustained run of success, returning to the city many times since. Employing a minimalist set with a couple of large rugs gives their shows a homey feel. They were early on the living room stage trend, and it fits them and their music so well, they've kept it. 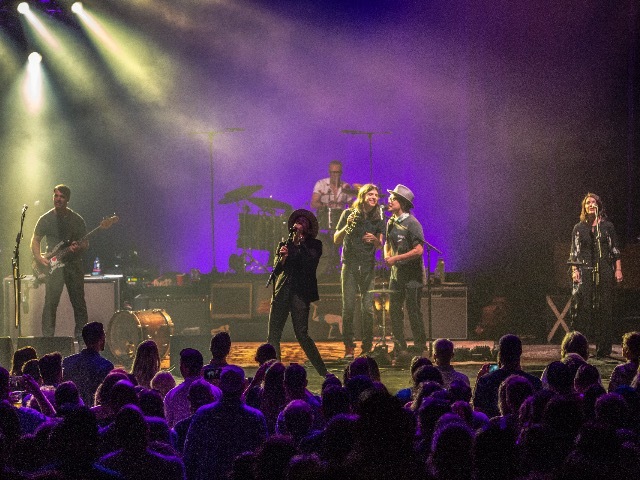 Proving they weren't a novelty or gimmick has been no issue as the Avett Brothers' music and persona are as genuine as you can get in today's music culture. 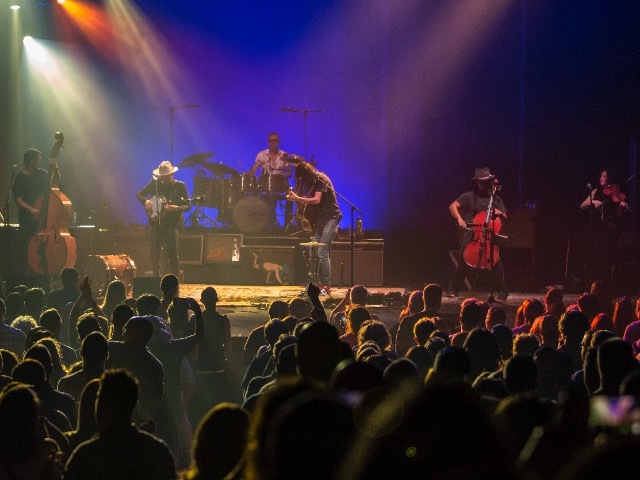 From the moment they opened on Saturday night with "Die Die Die" to the last song of the encore, the Avett Brothers had the capacity crowd's full attention. Can't imagine there has been another band to get the second level of the Riverside noticeably vibrating and rocking behind a banjo, cello and violin. While not the seismic shift of "Jump Around" at a Badgers game, there was definitely a mini-earthquake happening up there during the third song, "True Sadness." The sincerity of the music, lyrics and the band is the backbone of their success. A part of their charm is to make the audience and themselves at ease with different configurations of the band. 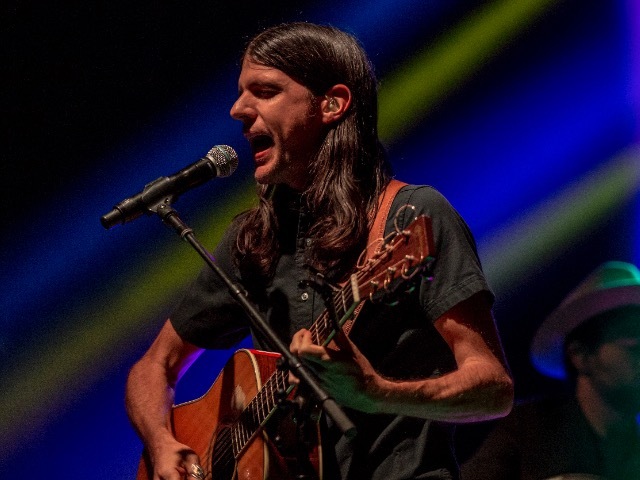 The core three (the longest term members), brothers Scott and Seth Avett as well as bassist Bob Crawford's breakouts on "Shame" and "Just Be Simple," were special, a throwback to when the band formed in the early 2000s. Clearly they haven't lost their roots. The supporting cast of Joe Kwon on cello, a noticeably pregnant Tania Elizabeth on violin and drummer Mike Marsh all brought along something to make the show special. The band has gelled considerably over the years as they have now recorded and toured together on its last few albums, "Magpie and the Dandelion" and "True Sadness." Going five vocalists wide on "Down with a Shine," without a drummer and still delivering the sound and the message, was a special moment. Other highlights included an intimate cover of Jim Croce's "Operator (That's Not The Way It Feels)" as a duet by Seth Avett and Bob Crawford. The song resonated so personally, you almost felt like you were imposing into his story and soul. The group also delivered a perfectly tender cover of the Everybodyfields' "Don't Turn Around," which was a personal favorite. The brothers' tight harmonies sound as if they are coming from one voice at times. As grandkids of a minister and highly talented musicians, they are able to express their life and make every emotion seem universal, using grassroots music to connect with others. They still live in North Carolina down the street from where they grew up, and the genuineness of their life shines through their 15-year music career. Their humility and humanity makes the storytelling pure and clean. When they delivered "Another is Waiting" and "It's the Beaches" at the end of the set, it was sermon-esque. Seth once explained in an interview, "It's like we're reading our diaries onstage. Singing about being alienated from myself and being disillusioned and in pain seems completely reasonable to me." That was clearly evident during their performance of "Kick Drum Heart" and "I Wish I Was." Right before the last song of the encore, "No Hard Feelings," the Avett Brothers proclaimed, "See you tomorrow!" Since many of the fans in attendance were holding two-day passes, it seemed like the perfect way to end. With two sold-out shows, it's clear they have more musical stories to tell.